Oscar Wilde would have been 158 years old today. He was an Irish writer and poet who became one of London's most popular playwrights in the early 1890s. He passed away in 1900, but that didn't stop me from stalking him last month. 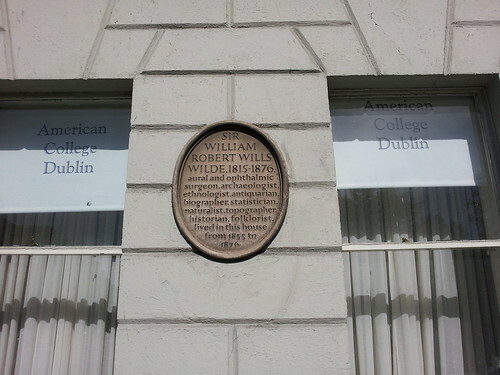 In Dublin, I visited the house in which he was raised. 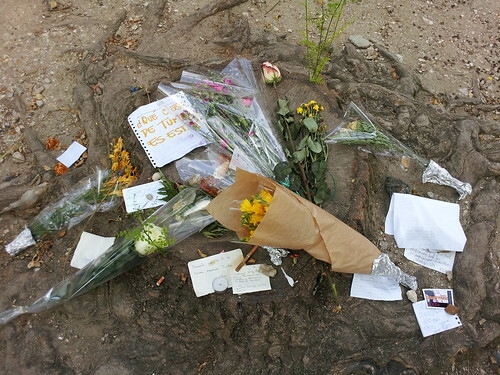 Across the street, in Merrion Square, there was the coolest memorial I've ever seen. 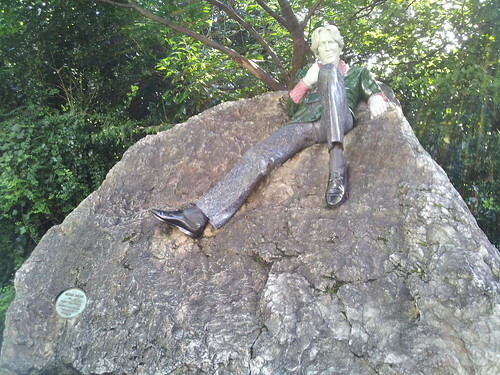 It's Oscar Wilde sitting on a large granite boulder. 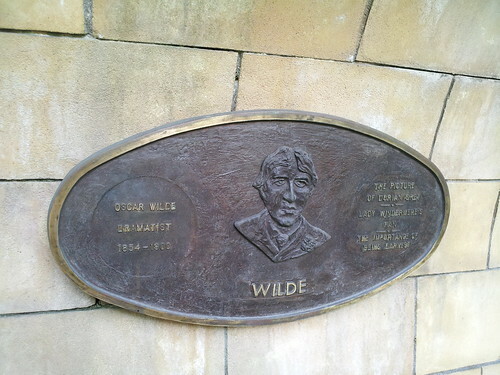 Then there's the Oscar Wilde's plaque in the Literary Parade of Irish Writers in St. Patrick's Park. 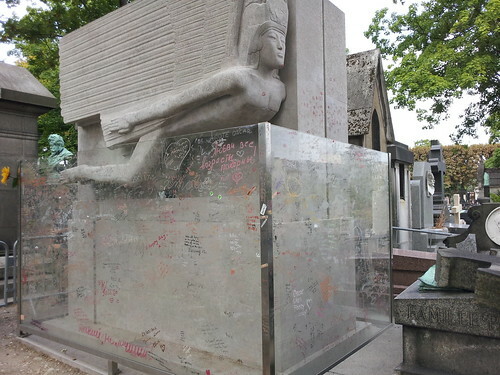 In Paris, I visited Oscar Wilde's final resting place in the city in which he died. Here's his grave in Père Lachaise Cemetery. For more pictures from Cimetière du Père-Lachaise, go here. Oscar Wilde is my favourite author... not necesserily for his subject matter (although Picture of Dorian Gray is a pretty great story) but for his use of language.